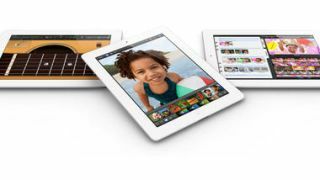 No more iPads in the US? As one legal battle draws to a close, Apple has another on the horizon as Google-owned Motorola filed a patent infringement case against the tech giant Friday. Motorola alleges certain Apple features violate seven of its patents, including location reminders, e-mail notifications and phone/video players. They claim even Siri - Apple's signature iPhone 4S voice recognition program - infringes one of its patents. What's Motorola seeking as punishment? A complete ban on Asian imports of products like the iPhone, iPad and Macs into the United States. "We would like to settle these patent matters, but Apple's unwillingness to work out a license leaves us little choice but to defend ourselves and our engineers' innovations," said Motorola in an e-mailed statement. The case, filed with the country's International Trade Commission, is two years in the making. Similar to what happened with Samsung, though flipped, Motorola turned litigious once licensing talks with Apple fell apart in 2010. Not a company to take intellectual property accusations lightly, Apple's response to Motorola's claims is that Motorola handsets - and countless other devices that run Google's Android OS - infringe on patents Apple holds for the iPhone. This ITC case is just the latest development in Motorola's (and, by proxy, Google's) war with Apple. In April, a trade judge found Apple guilty of infringing on one of four Motorola patents. Before that, Apple filed its own suit with the ITC against Motorola, alleging it infringed on three of its patents. However, things didn't go Apple's way then either, as the commission ruled Motorola didn't infringe on one patent and called the other two invalid. One expert pointed out a ban wouldn't affect the iPhone 4S and the not-yet-released 4G iPad devices running on a Qualcomm chipset not covered under Motorola's patents. A ruling on this current case is expected August 24, and if Motorola - and Google - get what they want it, could lead to a detrimental import ban on iOS devices. Apple maintains the ITC can't award damages, making a ban a questionable and a clear point of contention in the case. But if the ITC awards and is able to enforce a ban, the event could seriously impact sales of the iPhone 5, which we expect to see unveiled during an Apple event September 12.